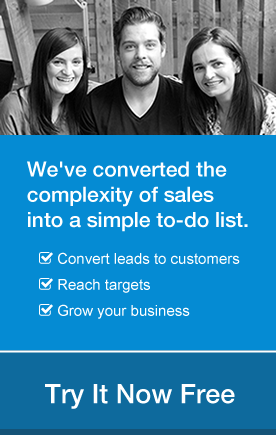 Where to get leads from. How to run an outsourced lead generation team. The cold prospecting email that will get you business. The costs of running this process. Last year I gave a talk at the DMX and Growth Hacker events about the process I used when prospecting for sales in my last company, which I am happy to share below. I will primarily focus on outbound email prospecting, using my own experience and testing, combined with the Predictable Revenue framework from the book by Aaron Ross. It was a process that needed the involvement of both sales and marketing as both teams needed to discover the ideal buyer persona of our customers. We needed to find our own marketing voice, what works, what doesn’t work and I need to adjust our sales and marketing pitch to this audience. There are some practical / process aspects that aren’t covered in the book. I will cover what I have discovered here, and I’ll show you using some examples from projects I completed in the past. Some people are going to wince here, but I go out and scrape the web for our target companies. 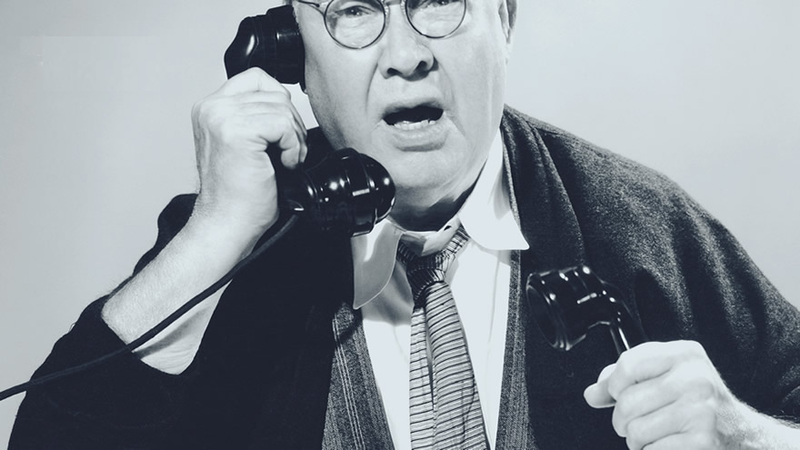 I scraped our contact details, I do some data cleaning on those, I pop them into the CRM, send them a prospecting message, and if they are interested I give them a call. I will go into that in a bit more detail. I built a team based in the Philippines, using oDesk (now Upwork.com). Their job is to go out and get contacts for us in our target companies. I have five people. They each generate 200 leads each and this takes them each, individually, around sixteen hours. When interviewing for these people on oDesk this is the tool set (above) I would expect them to use. They use LinkedIn, data.com and zoominfo to get additional information on those contacts. They test the contacts through a MailTester and Rapportive. 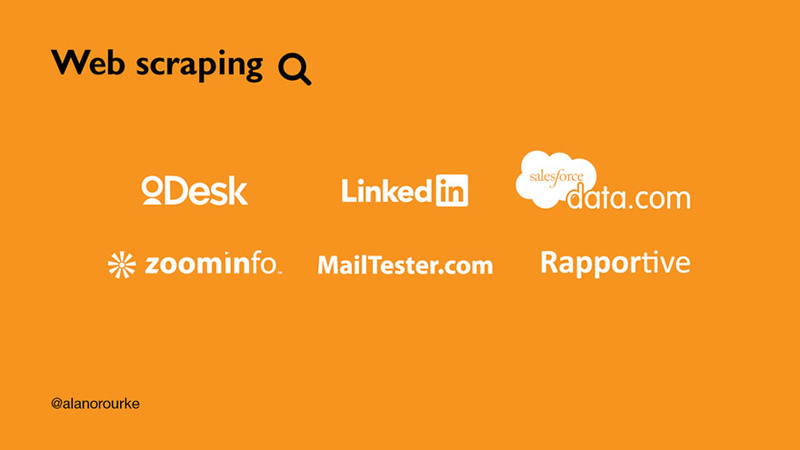 If you’re interviewing people on oDesk or general lead generating people they really need to be mentioning these tools and if they’re not then it’s a red flag. 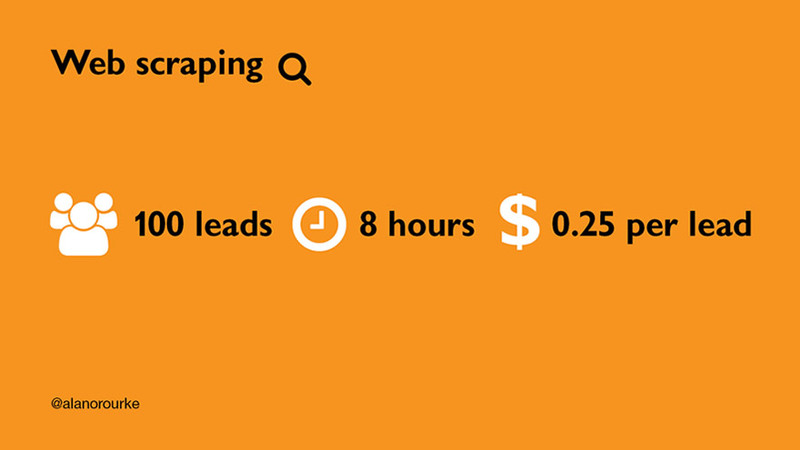 I found on average that for each 100 leads that are generated it takes one of our team 8 hours to do that and will cost on average 0.25 cent per lead. So that’s a good ball park if you’re starting up. Actually, just to go back again, when you are interviewing prospective lead generators for this, ask them how long it’s going to take. Say I need a hundred leads, how long is that going to take you? And if they don’t answer around about the 8 hours mark, then that’s a warning and you should probably move on. When you start using these people, when you start building a lead generation team, you probably want to check who’s actually delivering good leads and who’s not. This is a good tool to use. 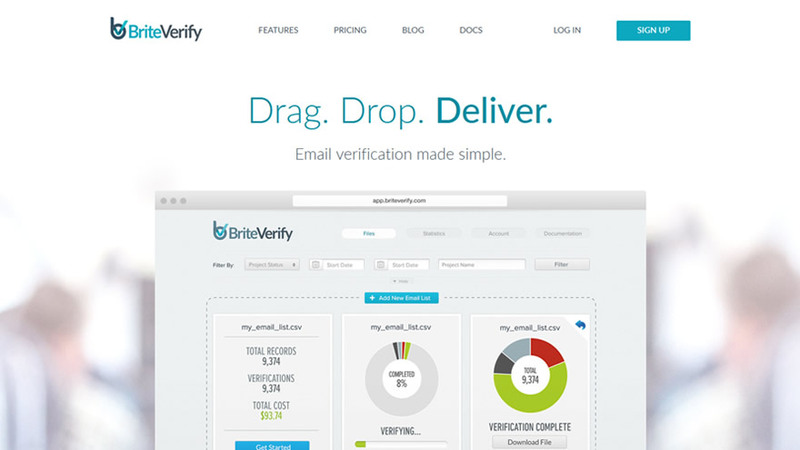 BriteVerify, and basically you upload a list of emails and it will test them all for you and will give you back whether they’re good quality or not. At which point I have the leads, and I pop them into an excel spreadsheet, where duplicates are removed. Duplicates are unavoidable with a team. The leads are tagged to track the source of who created them. Then, once I start measuring I can go back and see what was the cost of the success. Also, I can see who the low performing members of the team are and I can perhaps move on to others. This is a real example (above) of the prospecting message that I send out. The beauty of Predictable Revenue when creating prospecting mails is not to ask for the sale. Instead, you actually ask for a referral for your target in the company. Once you get that referral, it turns a cold prospect into a warm referral. At which point the sales guy gives them a call. Because they have been referred, internally in their company, they’re a lot more likely to listen and respond to you. The mail, as you can see is asking for help. People by default really want to help so it’s a great foot in the door. 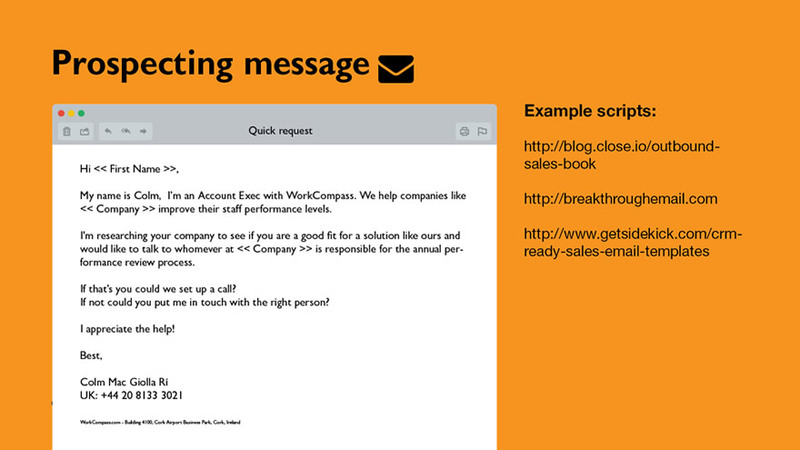 For examples of prospecting messages (they’re not covered in the Predictable Revenue book) go to blog-close.io, breakthroughemail.com and hubspot . Hubspot’s examples are more geared towards a freemium model. In this case, the prospect has used some aspect of your business or downloaded resources beforehand. Using this data, I was able to set goals for the following week. I was aiming for 2.5%, with an overall target of having up to 30%. Whether I hit 30%, I had no idea, but that’s our overall target. Then it’s over the sales guy. The goal is to get a demo of the product. I find that for every two demos I do I get one sale which is a pretty good return. UPDATE: Before you jump into cold email prospecting, consider what you charge for your service to see if the returns work for you. Nik in the comments below has a great calculation you can use to find out. Base cost: $269.63 (not inc. website) = $0.31 lead. Zero cost of Sales Labour. At a 25% attrition rate per yr: $756 first year, $567 second, $425 third. Total revenue: $1,748.00 less upfront costs $1,478.37 possible revenue. total cost: $370.19 + $269.63 = $639.82 total or $45.70 a lead or $91.40 a customer. ROI with $12 month crm revenue would be: 7.61 months just to break even with zero OH costs and zero attrition. I like the idea but reality is that the you need a dirt cheap call center to just call the company, get the right persons # and call them OR better email them skipping the “do you know who” email that would get trashed too much. 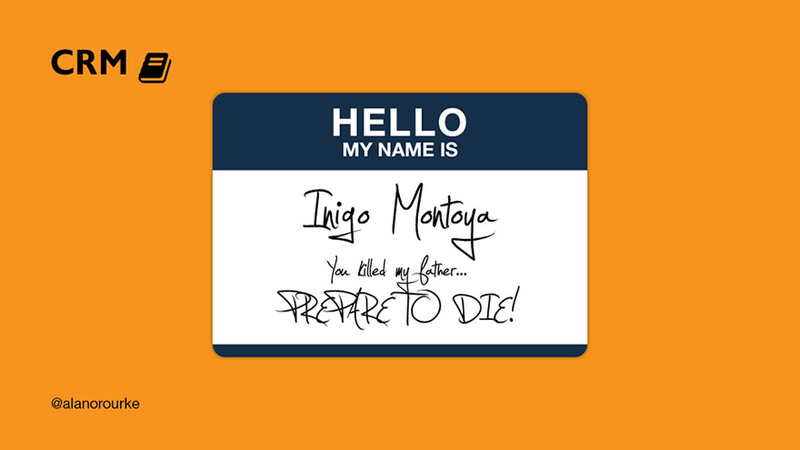 OR adding a step that would leverage linkedin or some type of dbase that gives the name of the person. I really like the cold call with a near instant screen share on the spot demo, then close or a trial then follow up via email drip then close. a A/B test would be interesting article of this. Hi Nik, I love your break down of costs. So many people forget to include their own costs, especially time. There is one important point you missed from the post. This was not done for OnePageCRM but for an enterprise software company I previously worked for where each sale was of a considerably higher value. I am going to add an update to the post above to point people to your comment so they can calculate if outbound prospecting is a viable channel for what they charge. that’s a great idea Alan. With enterprise totally different $$. you should do a little e-book “how to calculate and get outsized returns from direct marketing” with a excel spreadsheet to calculate and affiliate links in the book for an immediate revenue kick. Lovely tips Alan. Keep them coming. P.S. You have a very interesting background. Would love to hear the story sometime. After the 5th contact, what to you do with the lead? I would ask them to decide. I let them know it was my last email for now but let me know if they want more information or they can subscribe to my monthly newsletter with insights into the industry. Very informative especially for those who struggle to follow-up their email. Thanks Alan, i am gonna try this from monday and inform you too about result. Thanks, Zain, I look forward to seeing your results. And well done on the systematic and measured approach. Is there an equivalent article/cost breakdown for cold email marketing of OnePageCRM? Nik’s cost breakdown was good but, like you said, it was for an area “where each sale was of a considerably higher value”. 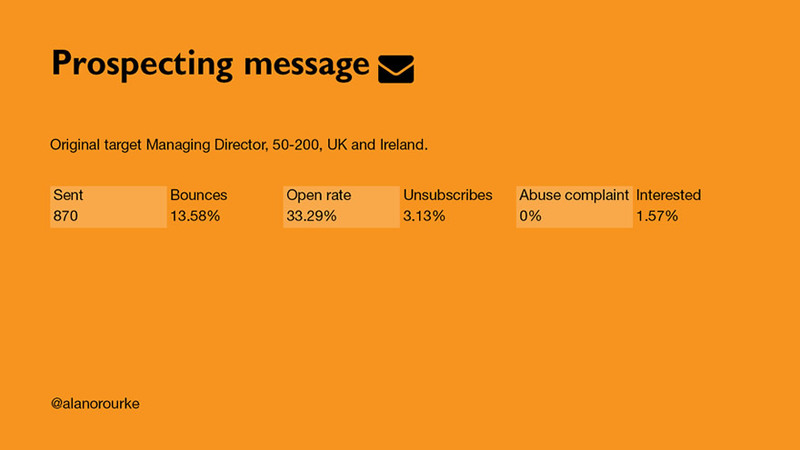 Hi Brendan, we do not do cold emailing ourselves in OnePage as it does not suit the business model. Really fantastic article. Some very valuable insights about cold emailing. Thanks. Alan – I’ve got the outbound ball rolling. A question for you (and others). With my first test campaign, I has 3 freelancers build a list of 100 each. After deleting dups and running through BriteVerify, I had 97 Valid, 22 Invalid, 158 Accept All and 29 Unknown. So here’s my question – The Invalid/Unknown are a given re deleting from my list. BUT what’s your suggestion with the Accept All? Did you get similar results? Do I email these, or delete? Hi Rob, great to hear you’ve got the system underway. The number for each category will vary from list to list so it’s difficult to give a definite answer from it. If your ESP’s bounce threshold is 5% or less: DO NOT MAIL. If your ESP has given you a dedicated IP: MAIL SLOWLY. You can check out more about their statuses here. Email marketing is the best outbound marketing strategy. 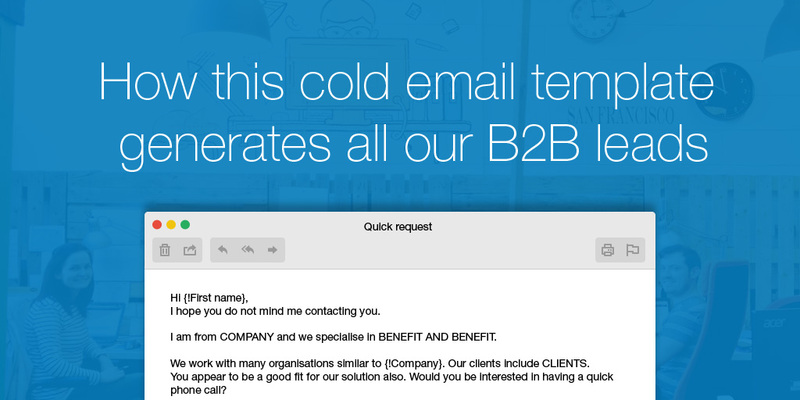 Cold emailing is an effective way for the b2b lead generation. Thanks, Alan for sharing the article.